JFH News: Hannah Kerr Joins Building 429 on "Christmas in the Round Tour"
Hannah Kerr Joins Building 429 on "Christmas in the Round Tour"
Nashville, Tenn. (Dec. 8, 2016) --- Black River Christian singer/songwriter, Hannah Kerr, joins the GRAMMY nominated band, Building 429, on its “Christmas in the Round Tour,” which also features Matt Hammitt and Jonny Diaz. It will be an intimate evening of worship, stories and holiday classics that is based on Nashville’s beloved tradition of “musicians in the round.” The tour launches Dec. 9 in Massachusetts and concludes on the 17th in Fla., and is sponsored by Food For The Hungry. At the same time, Kerr’s first holiday single, “Have Yourself A Merry Little Christmas,” is having an impact at Christian radio with adds that include three major radio networks, K-LOVE, Air1 and His Radio. The song was selected by Kerr’s fans and the talented artist added a Jazz flare to her rendition that displays her musical passions. “I'm so excited for this upcoming tour with Building 429, Jonny Diaz and Matt Hammitt. These guys are some of the best people in Christian music and I'm blessed to be up there singing with them as such a new artist,” said Kerr. “I'm performing my new Christmas single ‘Have Yourself a Merry Little Christmas’ on the tour and I can't wait for people to hear this jazz version live! Jazz is one of my favorite styles of music and I'm thankful that these rock stars decided to make space for a jazz song in the tour set list." Fresh off the road opening for Casting Crown’s “The Very Next Thing Tour,” 2017 will prove to be a busy one for Kerr with her single, “Radiate,” going for adds at radio on Jan. 27, and it’s already receiving early airplay from WAY-FM radio network. The song was co-written by Kerr and her brother, Josh, who has had two No. 1 country hits with the GRAMMY nominated Kelsea Ballerini, along with Jordan Reynolds. The song is from Kerr’s first full album, Overflow, which features 10 other tunes, seven of which were co-written by Hannah Kerr. Physical copies of the album will be releasing Spring 2017, with the digital version of the album available now online. For more continued updates about Kerr please visit www.hannahkerrmusic.com, www.facebook.com/HannahKerrMusic, www.twitter.com/hannahkerr. Hannah Kerr began publicly singing at the age of five in her hometown church in Buffalo, N.Y. Even though she grew up in a musical family, she never aspired to become a singer. Eventually Kerr’s family moved to Nashville, Tenn. when she was a teenager and she started approaching her musical talents with the heart of a worshipper and started songwriting and performing. One of her recordings caught the ear of Sawyer’s Brown lead singer and Casting Crowns producer, Mark Miller, and he affirmed Kerr’s calling for a music ministry. She signed as the first artist for Black River Christian label and Miller produced her first project, I Stand Here, and her follow-up full album, Overflow. Kerr just completed her second major concert tour by opening for Casting Crown’s “The Very Next Thing Tour.” While handling a busy career, Kerr attends Belmont University in its Ministry and Worship programs. In September of 2015, Casting Crowns’ Mark Hall, veteran producer/Sawyer Brown frontman Mark Miller, and music industry executive, Gordon Kerr, combined their talents and passions to create Black River Christian. Based in Nashville, Tenn., Black River Christian is committed to spreading the Gospel of our Lord and Savior Jesus Christ through artists who are committed to ministry through music. Partnering with Provident Label Group for distribution, the label officially entered into the Christian music this fall at the Christian Music Broadcasters Momentum conference in Orlando, Fla. to debut their first artist, Hannah Kerr. She has already shared the stage with Matt Maher, Jon Guerra, I Am They, and most recently Casting Crowns on their "The Very Next Thing Tour" in Fall 2016. Kerr’s first full length album, Overflow, releases Spring 2017. 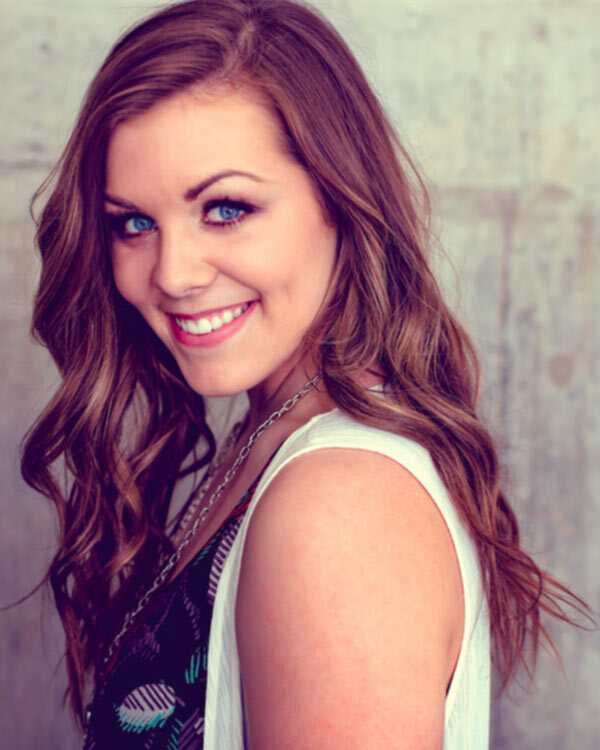 For more info on Hannah Kerr visit the JFH Artists Database.